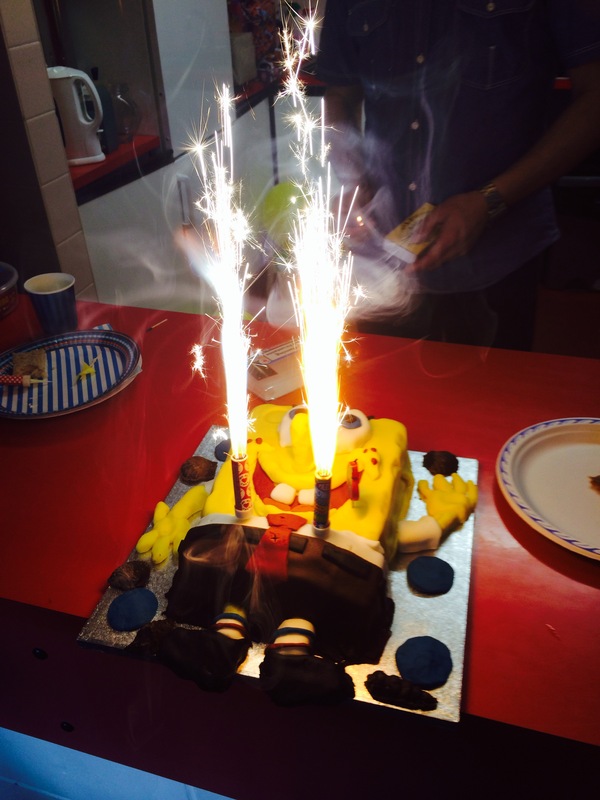 I love the fire works on the cake presented at a birthday party this weekend. The kids were so excited that we had a couple of goes with the fireworks candles. The little boy turning 6 even got to make a wish. I hope everyone had a great weekend too! Now and then, I wrestle with my fear of being average. I worry that I’ll live an average life that won’t be worth remembering and be just as good or worse than the person that came before. I always want to be better. a standard or level considered to be typical or usual. I re-read the post recently and my feelings have changed slightly but significantly. I still find easygoing folks a little annoying and I still want to be damn good at what I do. But I have found a way to live with the fact I am not good at everything and that I need to find my niche in life. How am I living with this? Here’s how: The crux of my 2011 blog post was that I felt under a lot of pressure. I know now that I was probably striving for the wrong things. It had very little (if anything at all) to do with average-ness, whether I deemed that to be a curse or a blessing. I wanted to be what other people wanted me to be and that was incredibly exhausting. then yes, it could provide the luxury of a content, relatively stress-free existence. As I glance back at the definitions of ‘average’, I know it’s a luxury I cannot afford. Guess I’ll never learn. Images from flickr user: thejuniorpartner – Angry or confused face? This is not your typical career post. I’m not going to patronise you by telling you how to make your career the envy of many. Neither am I going to tell you to forget having a corporate career because the corporate world is evil. No, none of that nonsense. I’m going to tell you my greatest misconceptions during my corporate career that spans 10 years. You will see potential identity issues and near misses, which could derail any promising career. Choosing a job, not a manager – New challenges are so exciting! It doesn’t matter if I don’t have direct experience in a role, I get excited about finding out what I’m meant to be doing. In fact, if I can already do the job I’m unlikely to be interested. I read the job description, highlighting in green where I have experience, in yellow where I have knowledge but no direct experience and in orange where I have nothing at all. Then I make a plan to fill the gaps. Sounds pretty thorough, right? Well, that’s a misconception right there. I hardly ever ask crucial questions about who’s going to be my manager in the new role. I know their names but I don’t find out what they are like to work for, what their management style is and if I should be bothered to enter into their kingdom. Oftentimes, this is more important than the job itself. It doesn’t matter how smart I am. If I have to regularly combat difficult personalities or succumb to a management style that doesn’t work for me, I’ll lay awake at night. If I could go back in time, I’d ask more questions about management style and values. I might still take the job after finding out that the manager eats human ears for breakfast (my ears are my favourite feature) but at least I’ll know – and I’ll have an approach for managing them…because the job is worth it. I use the ‘3-strikes-and-you-are-out’ approach but not everyone is as understanding as that. After all, we are all here to work and to get paid for a hard day’s job. Corporate environments are not charities. Sooner or later, somebody will mercilessly threw slackers under the bus. Focusing on weaknesses instead of strengths – Ever since I was a child, I have ignored my strengths. Literally. When I get my report sheet, I scan through and notice all the ‘buts’, ‘althoughs’, and ‘could-do-betters’. I almost always need a second opinion on the report sheet, someone to talk me off the ledge. It takes another look for me to notice the ‘she is excellent at this’ and ‘she is a leader in that’. Honestly, I never see it the first time. If someone asked me my weaknesses, those would roll off my tongue quickly but I often have to think about what my strengths are. In fact, I ask my friends what my best traits are quite a lot because I tend to forget. In my corporate career, this is probably the worst misconception – the misconception that I need to improve my weaknesses more than I need to make my strengths even stronger. It causes what I call, ‘mistaken identity’. I could end up presenting myself with my weaknesses at the forefront. Try it. Describe yourself with your weaknesses. For instance, you could say, ‘I’m terrible at numbers and I have no patience for slow learners.’ Then try describing yourself with your strengths. Something like, ‘I’m creative and often come up with innovative ideas. I’m also calm and productive under pressure.’ Well, who would you hire for a job? It’s the same person. One of my lecturers at business school used to say and still says that people should ignore their weaknesses. ‘Just leave it alone’, he says. ‘Focus on your strengths’, he says. ‘That’s what the company hired you for – to tap your strengths – not to improve your weaknesses,’ he’d often say. I’m not sure I can totally ignore my weaknesses but perhaps if I focus more on my strengths, I’ll have greater impact because I’m more effective. Or so I’m told. There they are – I shuffled along with energy, enthusiasm and some mildly worrying misconceptions. Do any of these resonate with anyone? What’s my most recent realisation? Eh, I am hopeless at waiting. Until a few months ago, I would have described myself as reasonably patient. But over the past few weeks, I have needed to physically and manually distract myself almost daily from worrying about the journal paper I have submitted to the Industrial Marketing Management journal. The paper is based on research during my MBA at Henley Business School in 2012 and focuses on the change management process in business-to-business social media. The paper is co-authored with David Rees, Visiting Executive Fellow at Henley. If you are wondering why I’m writing a journal paper, see this post. There is nothing I can do but own up: I am chronically impatient. I know there’s no point losing sleep over it (but that hasn’t stopped me going sleep bankrupted). Whatever the feedback from the journal editors, it will be valuable and enable me improve my writing skills. It’s just that it’s taking a while for this truth to sink in. The hyper-competition in the academic ‘publish or perish’ world suggests that if I have half a brain, I should prepare for total annihilation. It doesn’t help that I checked out typical review times for peer-reviewed academic journals and found that it could take up to 6 months before I hear back. If accepted, it can take up to 2 years before the article is published. Ohhh. Myyy. Worrrd. I am going to have to put it out of my mind…for now.